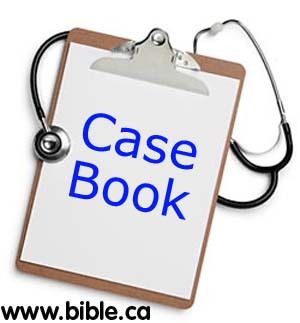 Casebook of Biblical Psychiatry© brings the principles of Biblical Psychiatry to life based upon real-world cases and familiarizes Christians with different types of situations. 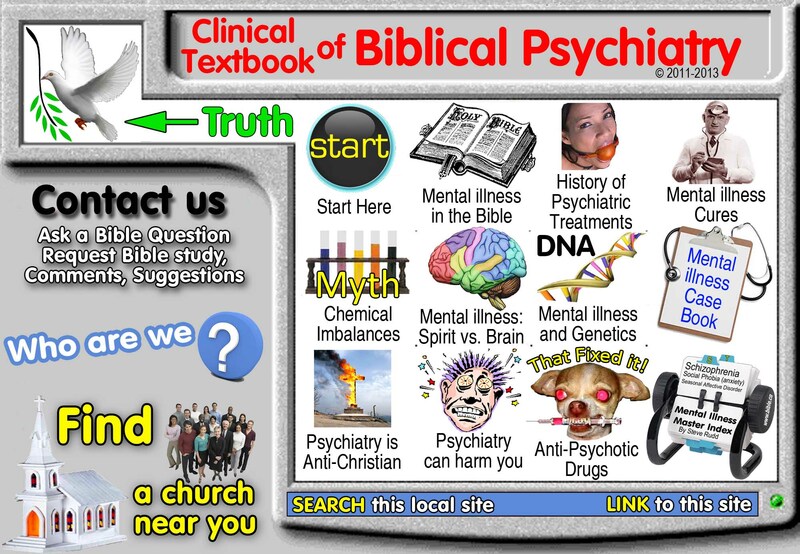 This practical companion volume to Biblical Psychiatry© includes not only diagnosis, but also in-depth discussions by experienced Christians for Biblical approaches to treatment. This meticulously detailed volume of dynamic real-life case studies is simply a "must read" for all clinical Psychiatrists, mental health care professionals and Christians interested in expert opinion on today's treatment approaches. Psychiatric students, educators, and practitioners—as well as social workers, nurses, medical physicians, and interested laypersons—will find this unique volume of inestimable value in their day-to-day work. No. Never ingested opium. Although before the era of prescribed psychiatric drugs (1950's) which create chemical imbalances in the brain, at this point in history Opium was the only drug widely used to create chemical imbalances in the brains of the insane. A rebellious child who is angry with her father because she is not getting her own way. In a story that would otherwise be a comedy show, a young woman fakes demon possession as a way of seeking revenge from her father. We are not told why she is angry with her father, but it matters not. In the era of witchcraft, Mary Hall fabricated behaviours that were in harmony with the superstitions of demon possession of her day. Today we can easily look back and see that Mary Hall did in 1655 AD what many people do today: engage in behaviours that bring about a desired benefit. What is interesting is that if Mary Hall engaged in this same theatre today, she would be "diagnosed" by the experts with multiple personality disorder not demon possession. Two experts of two different era's view the same behaviours with two very different diagnosis'. In fact both sets of experts were wrong and if you remove the superstitions of modern psychiatry, it is clear that she was simply angry at her father, probably because she was a spoiled "rich kid" brat who was also bored and looking for some personal entertainment. We are reminded of the story of Sybil who fabricated 13 personalities purely out of entertainment. Fun, entertainment, relief from boredom and monotony: EDS-7.4.2. Mary was having a lot of fun with her acting show. In fact, she was surprised at how gullible everyone, including the doctor were. Attention seeking, Pride, Praise, Honour, Fame: EDS-7.4.3. She made herself the center of attention and famous even to this day 400 years later! Escape duty or life situation: EDS-7.4.4. Obviously her father had told her "no" about something and she was a spoiled insolent brat who wanted her way. Sympathy: EDS-7.4.5. The poor young girl was suffering from a demon possession and likely had a lot of people consoling her as she laughed at them behind their back. Control over others: EDS-7.4.6. To have all these adults scrambling to cure her was a clear power victory for Mary. She wasa escaping the control/power her father had over her: "we should have choked Goodman Hall (her father), but of him we had no Power"
Revenge: EDS-7.4.8. Her father was clearly a target of revenge. Her statement, "Harod sent us to choke this Maid, Mary Hall (her); but we should have choked Goodman Hall (her father), but of him we had no Power, and so possessed his daughter." This kind of says it all. It was Mary who had no power over her father, not the demons. So she punished her father with the entire act. 7. Victimhood: EDS-7.4.13. She said that her father was really the evil one who the demons wanted to attack, so instead they attacked innocent Mary (herself). This would raise a question in the mind of everyone as a rumor: What evil was Mary's father guilty of that the demons wanted to get him? All this was part of Mary's plan of paint herself a victim and her father the victimizer. When victimizers represent themselves as a victim, this is a classic example of victimhood strategy to gain the benefit of sympathy if their victim complains to others about their treatment. She, the victimizer, attacked her father, the victim, through the "demons" and then she portrayed herself as an innocent victim. If her father complained about the way she was attacking her, others would come to her defense and he would be labeled uncompassionate and cruel, considering it was the demon, not her that was responsible. The fact she was willing to physically harm herself shows how far she was willing to go to create the illusion of a victim, when she was the victimizer. This behaviour would otherwise self-hate EDS-7.4.12, but not in this case since it was just part of the theatre where the bruises were real and not makeup. 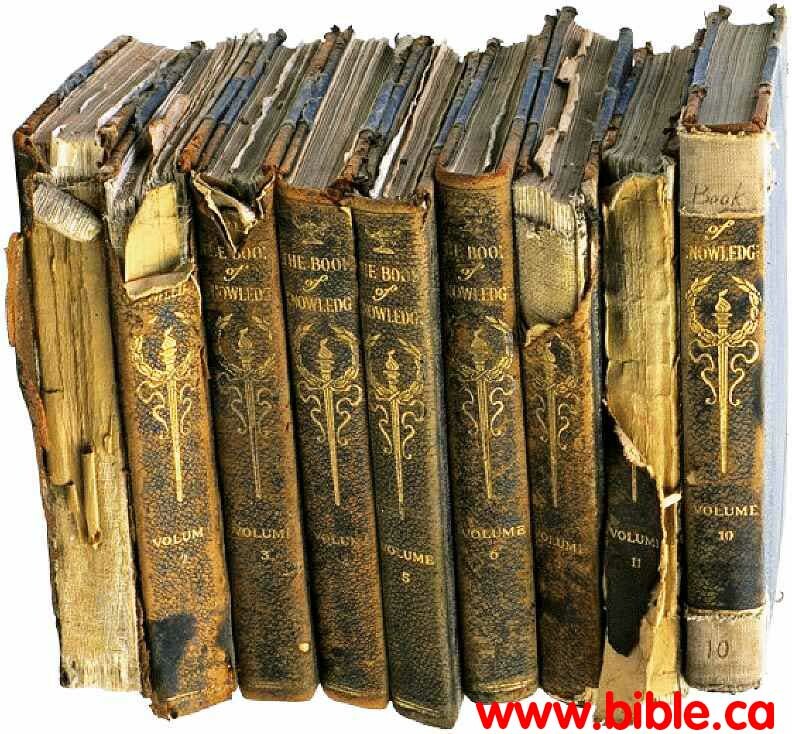 A Disease of Witchcraft is a Sickness that arises from strange and preternatural Causes . . . afflicting with strange and unaccustomed Symptoms, and commonly preternaturally violent, very seldom or not at all curable by Ordinary and Natural Remedies. Mary Hall, a Maid of Womans Stature, a Smiths Daughter of little Gadsden in the County of Hartford, began to sicken in the fall of the Leaf, 1663. It took her first in one foot with a trembling shaking and Convulsive motion, afterwards it possessed both; she would sit stamping very much; she had sometimes like Epileptick, sometimes like Convulsive sits, and strange ejaculations : she was sent to Doctor Woodhouse of Barkinsted, a Man famous in curing bewitched persons, for so she was esteemed to be; he seeing the Water and her, judged the like, and prepared stinking Suffumigations, over which she held her head, and sometimes did strain to vomit, and her distemper for some weekes seemed abated, upon Doctor Woodhouse direction; Then reinvigorating, were heard in her strange noises, like mewing of Cats, barking of Dogs, roaring of Bears, &c. at last a Voice spoke in her, "Pus Cat, what a Cat? nothing but me! "; this was about the beginning of August, 1664. and after this the evil Spirit spoke often, exercising the tricks and torments, convulsions, and elevations of the Maid, as before it spoke, with some Additions. If any said, Get thee out of her, Satan; the spirit replyed, We are two; and as oft as any said, Satan, or Devil, it would reply, We are two; and would say, "We are only two little Imps, Goodwife' Harods, and Youngs; sometimes we are in the shape of Serpents, sometimes of Flies, sometimes of Rats or Mice; and Gfe Harod sent us to choke this Maid, Mary Hall; but we should have choked Goodman Hall, but of him we had no Power, and so possessed his daughter; we came down the Chimney, riding on a stick, and went first to Mary's foot, whereupon her foot trembled first of all her distemper." At other times, upon diverse occasions, either voluntarily, or in answer to the questions of those that came to see her, they said, They would do more mischief if they could; yea, they would destroy all Mankind, and be revenged on their Adversaries, but God was above, they had not Power, yet many times they would speak Blasphemously of God; and say, God cannot cast us out, we are above God; we are four to one, (meaning the two Witches that sent them, and they two, against God) and do you think we cannot deal with him well enough. When some came to pray, they would say, You shall not cast us out, we will tire you all out; and when they had done praying, the Spirits would say, Did we not tell you, you should not cast its out 2 where is your God now ? . . . Sometimes to those that came to cast them out, they would say, They would be gone to morrow; or that they had a short time, and therefore must be busie in shewing a few prankes more, ere they went out; at another time they would tell them, They must choak her, and they would not out yet. Sometimes they would bid her, Mary, choak your self, when she went to eat; and when she went nigh water, Mary, dround your self; and when she would not do it, and they wanted Power to make her, they would say, Ah Fool, Fool, Fool, Fool, what will you not drownd your self ? when she was nigh the Fire, they would say, Mary, put your head into the Fire; or, Mary, put your head into the Pot, and sometimes of a suddain they would dop down her head, as if she should put it into the Scalding Pottage, but could not effect it. Because many People came to her, her father, in September sent her to several Friends Houses, sive or six miles more or lesse distant; where Friends met to pray; and the Spirits would say, Mary shall not ride, and would lift her up, and make her shake, so that they were fain to hold her on the Horse; but formerly they suffered her to ride without interruption; since they begun to speak, when she went to read in the Bible, they would say, Mary, do not read; or Mary you shall not read, for Books are all against us; her father would say, She shall read in spight of all the Devils, and so she did alwayes without interruption; for when she read, she was not molested, but once they did convulse her Arms, and threw the Books far from her. When some prayed by her, and said, At the name of God shall all Flesh Tremble; and at the Name of Jesus shall every knee bow, they would make her to tremble, and her knees to bow; and when so done, laugh and sing, We know how to cheat you, and make you believe any thing . . . Sometimes when questions were asked, they would make no answer; and sometimes, answer to each question; sometimes indirectly, and sometimes directly; sometimes seriously, and sometimes scoffingly; and sometimes would do nothing, but say and gainsay themselves : one spake to them in Latine, and they answered, We cannot speak Latine; and presently they said, If we can, we will not: the father thinks one speaks one thing and the other another. They would often repeat what Doctor Woodhouse had done, and said, about their casting out, and remember all exactly, and laugh at him, saying, Doctor Woodhouse would have cast us out, but he could not,- he is a cunning fellow, but we are cunninger then he; let not him think a few slaps will expel Satan . . . Sometimes her lips in speaking were not moved, but commonly they were, and her tongue alwayes; for the Spirits by the pains she felt, and by the swelling of those parts seen to the Spectators, came to the root of the Tongue, and moved it . . . Sometimes she would beat herself, sometimes with one, sometimes both hands, chiefly on the Breast. Sometimes her legs would go, fast and violently, kicking of the ground, and the Spirits would say, Come, Mary, Dance; and then they would make a tune, and make her feet to Dance it; sometimes they would say, Mary, make a mouth; and then they convulsed her mouth, so that her lips seemed gristles, and her Nose was sometimes drawn up; another time they should say, We will put out your Eyes; and then they would so draw together her Eye-lids, that scarce any extuberance of the Eye could be perceived. Sometimes they would say, Come, Mary, turn round . . . and she would do accordingly. Sometimes when the Spirits moved her Tongue, some of the House would catch hold of it, to stay it, and it was pulled from them .. . Since, on December I. I was there, and saw the postures and carriage of the Maid : when I went first into the house the Maid was feeding, and looked well-bled, seemingly she was very well: I asked the Spirits some questions, and they answered me, but very foolishly . . . Both in her reading and feeding, both her fits of speaking, and convulsive sits molested her: alwayes when she spoke, her voice was intelligible, plain, and modest; they spoke scarce to be understood : alwayes afore they spake, her Throat swelled, her Face grew red, her head shook, and was wreathed about, until they had done; when I caused her tongue to be held out of her mouth, their voice was more obscure; it is sometimes hoarser, sometimes shriller; sometimes small, sometimes great; sometimes her Throat swells more, sometimes lesse, and her Breast is elevated; she went to read, they told her, she should not, yet she did; she then had a shaking of one Leg; I laid my hand upon her knee, and then the motion ceased there, and writhed her body; in her going, one Leg was took, as it were, with a cramp; but sometimes she goeth very well; nothing happens alwayes, and each sometimes; sometime one member, sometime another . . . sometimes almost all the members, and sometimes scarce any .. .
Not being satissied with what I saw, I went over to Barkinsted to Doctor Woodhouse, who was her Physitian, and he told me he really thought she was possessed, and he told me two able Physitians, (whose names I have now forgotten) were with her, and told him she was Demoniacally possessed, and that they being very lately in France, saw there a whole Convent of Nunns so handled as Mary Hall was, with their Abbatesse.